And here’s that Nick bum again! Wasn’t crazy about this one, but there’s something very satisfying about the contents of that cart! 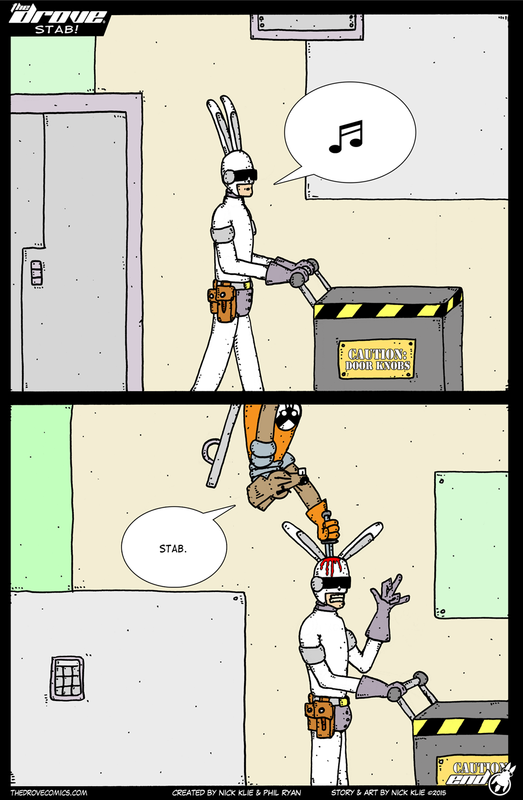 This comic was posted in The Drove and tagged boot knife, bunnies, bunny, caution: door knobs, codpiece, comic, death, death from above, door knobs, drove, Fascismo Verminauts, knife, murder, rabbits, sci-fi, stab, the drove, thedrove, Verminauts, webcomic.